So, this week started out well. 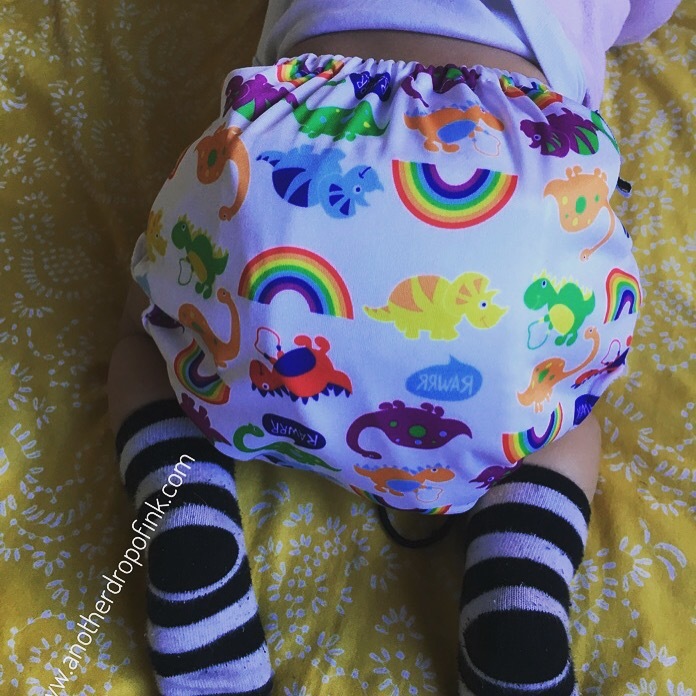 Roz came into my room and as I’d promised her she could pick the first nappy baby wore today, she had a great time going through them all and settling on the rainbows and dinosaurs wonderoos real easy all in ones nappy. 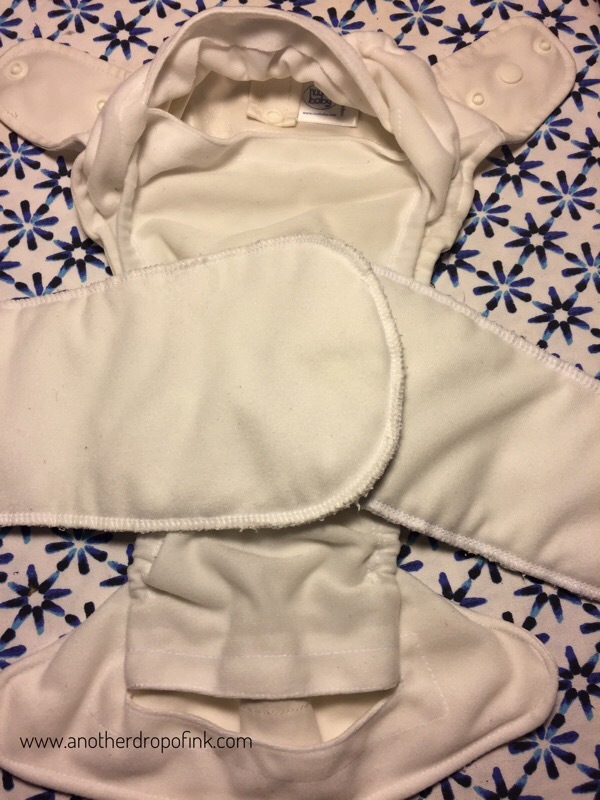 Basically it comes with one woollen and one microfibre insert attached to the nappy, and has popper fasteners all along the top so you can adjust the size. It was quite bulky so I didn’t really like it, but it was oh so pretty. I picked a few simpler colours to make up the difference for the rest of the day. I had work to do, so Krys said he’d take baby swimming after dropping Roz off to school, so I’d have a bit of peace and quiet. At which point I remembered that I hadn’t actually said anything about the whole cloth nappy thing, so the cloth nappies stayed PR and a disposable went on her bum. I’m failing no it’s only day two. While they were gone I put a wash on of yesterday’s nappies and I was surprised that they were nearly dry coming out of the machine. And even better, they didn’t smell of wee. Granted I did give them a good rinse last night out if paranoia and put them on he dryer to semi-dry before the real wash – what am I like! – but yah, pleasantly surprised that they didn’t pong. The two returned two hours later, and the cloth nappy went on. Look at that cuteness. Just look at it! Yeah, very bulky. It wouldn’t be my first choice to be honest. I’m not sure how often to change them, so I’ve been doing that every two hours, and with that routine these are just silly. I much preferred the white nua baby brand that I of course didn’t take a picture of at the time. 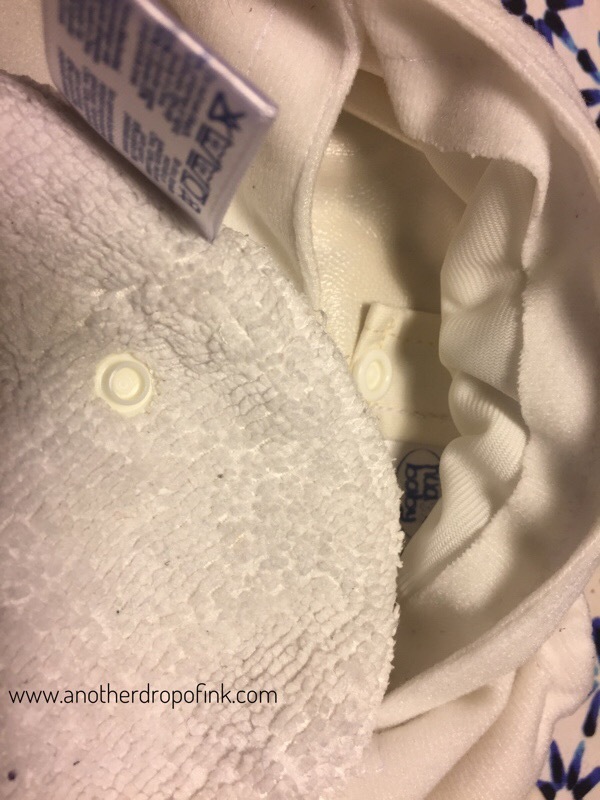 But, instead of attached cloths, the inserts can be fastened to the nappy, so that if you just bought a truck load of inserts, you put in new ones as needed. And you can add wool liners to ensure baby’s bum isn’t sitting in wet wee like ye olde terry cloth nappies. They sent me a whole load on inserts so i used those for the day with the nua and it worked out great. See? The inserts have poppers and the nappy has poppers. Handy, no? Then at night I wimped out and went for a disposable again. I’ll get there. But I like that there’s no pressure. I can kid and match for the moment till I’ve asked tons of questions in Facebook groups and worked up my nerve. Disclosure: I’ve been sent a load of various branded nappies by the cloth nappy library Ireland for a three week loan. I get to try my hand at nappying and they get exposure for their full volunteer run service. win-win. I have to send all the nappies back after the three weeks and if I’m a convert I’ll beg borrow or buy some. Or not.